How do I Buy One Stock for a Gift? A certificate is a way to embellish the gift of a single stock. The gift of a single share of stock is a way to encourage an interest in investing or to buttress existing interest in an industry or company. It can also be viewed as a novelty of sorts. Even a single share gives the recipient a stake in the prospects of the firm and an introduction to the realities of stock ownership. You can buy a single stock from an online broker or from a company that specializes in selling single stocks. Get in touch with a company that specializes in the sale of single shares. Companies such as OneShare or Give AShare can be reached online or by phone. Survey the list of available stocks with an eye toward the interests or passions of the person for whom you are purchasing. For a young child, Mattel or Disney might appeal. The teen with a strong interest in gaming, for example, might prefer a share in Sony, Nintendo or Electronic Arts. Adult latte fans might appreciate a share of Starbucks. Follow the online prompts to select the stock and add-ons. This typically involves selecting a company and selecting the color and type of frame. Depending on the site, you may be able to select the type of paper and the font for the certificate. Gift wrapping may also be an option. If you buy by phone, you'll follow the same steps with a representative. Provide the stock registration information. Give the name and address of the person to whom you want to give the stock. If you are buying for a minor, you must provide the name of an adult custodian. Purchase the stock and provide shipping instructions. Most companies accept major credit cards for payment. Submit the information and look for a confirmation screen. You might also receive a confirmation email. If you purchase by phone, simply give the payment information to the telephone representative and ask for an order or confirmation number. A company in which you already own stock often will allow you to buy a single share to offer as a gift. Online brokerages, such as E-Trade might also sell you a single share. The stock of some popular and well-known companies is so costly that a single share constitutes an expensive gift. At the time of publication, Google traded at a whopping $734.75 per share and Apple at $523.90. Although both companies are high profile and their products are widely used, the cost of a single share -- as a gift or otherwise -- might prove prohibitive. Companies that sell single shares of stock for gift-giving purposes often charge sizable fees not only per share but also for such extras as engraved frames. If cost is a consideration, take careful note of what kind of premiums you'll be paying. 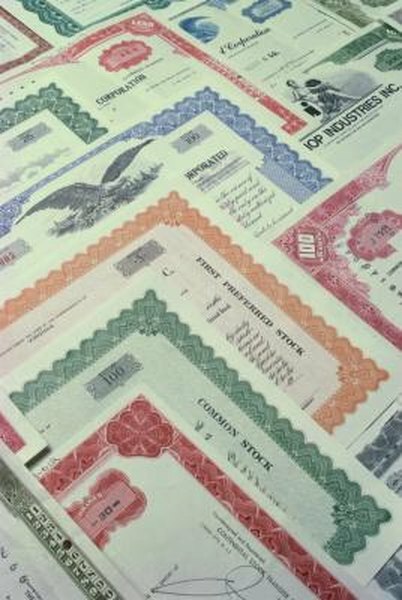 It may take three to eight weeks to receive the stock certificate. The registration process can be time-consuming. If you are looking for a physical representation of the gift sooner, you may be able to request a dummy certificate. When the real certificate arrives, the dummy can be discarded. How do I Buy Pfizer Stock?